We are able to give advice on local services and most benefits that are available to older people. Contact us on 01775 720 305. We work closely with the Lincolnshire Advice Network and will refer people onto it where appropriate. 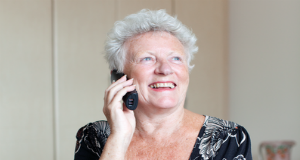 We have full access to all of the factsheets produced by Age UK. These are full of useful information and advice on issues affecting older people. You can download the factsheets from the Age UK website. We have a member of staff and a trustee trained in benefits advice. We can also direct you to an advisor at Age UK Lincoln and South Lincolnshire if they are nearer to your location. We also work closely with the local Citizens Advice Bureau who cover most areas that people require advice on.